I fell in love with Jordan on my first visit in October 2016. I have since retuned to Jordan three times and never tire of its amazing nature. Since ecotourism in Jordan is a popular topic, I wanted to share everything I know about the Jordan desert as well as the diverse landscape you can find there. When I tell people that I am in Jordan, I do not blame them for thinking of sandstone cliffs, or desert like climates, but Jordan actually has 4 different bio-geographical zones within its 90,000 square kilometre borders: Mediterranean, Irano-Turanian, Saharo-Arabian and Tropical. A lot of this diversity is because this small country varies from 400 meters below Sea Level to 1800 meters above sea level. So What is Ecotourism and Why Should You Care? Ecotourism, along with adventure tourism and a variety of nature-based, cultural and heritage tourism has become among the fastest growing sectors of the tourism industry worldwide. More and more travellers aim to “travel with a purpose” ensuring their visits have positive impact on the community and regions they visit. Often we hear about people who want to volunteer in a community to help, and many organizations have capitalized on this, thus creating entire industry where people think they are actually doing good for the region. Some do, and some do not. Ecotourism is different in that it promotes tourism, but encourages the preservation of nature and its flora, fauna and the animals that call it home. It also strives to ensure that the local people’s well being is sustained, uniting them with the tourism process in the region. The Hashemite Kingdom of Jordan has been, and continues to be a leader in the field, ensuring that tourism has a positive impact on the local communities. A small country in the Middle East may seem like an unlikely destination for an ecotourism holiday, but the Royal Society for the Conservation of Nature (RSCN) has been working since 1966, with this exact purpose in mind. Today, its successes include setting up 7 nature reserves covering over 1200 square kilometres in Jordan, preserving the country’s rare beautiful landscapes, flora and fauna. Because of its ecologically diverse landscape, adventure activities in Jordan are plentiful and many centre around nature. 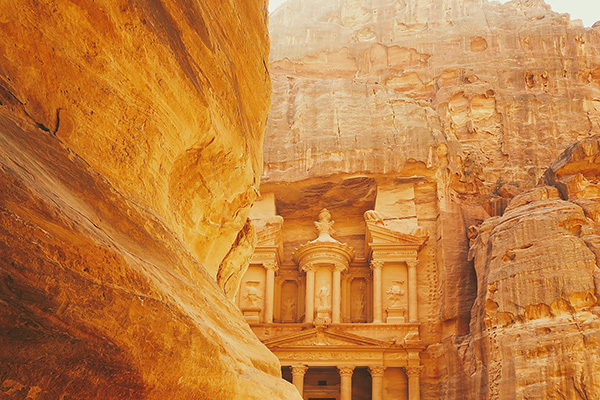 While Petra’s sandstone carved cliffs may be what I was most looking forward to when I first visited Jordan, there is so much more to this diverse country. 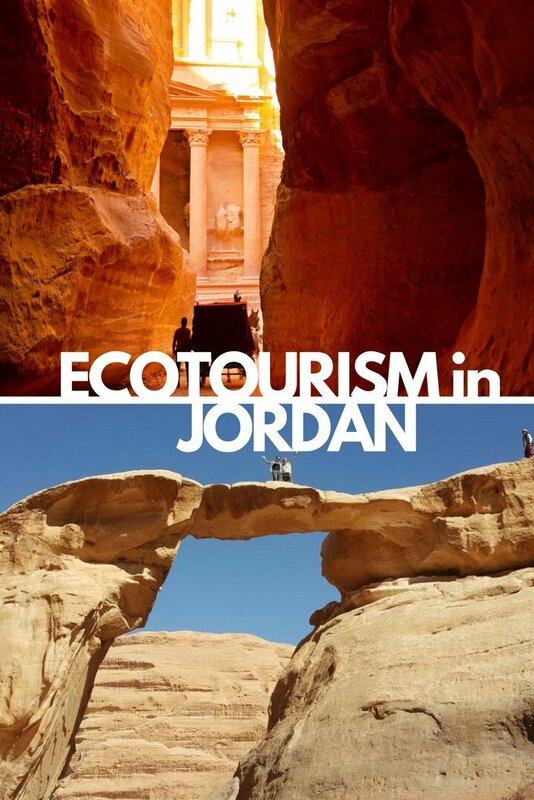 There are several eco-experiences in Jordan where you can negotiate livestock trails, wander through rivers, hike into one of the top eco-hotels in the world, Fenyan Eco Lodge, or explore untouched sand in Wadi Rum desert. Jordan’s outdoor adventures do not stop with hiking; experience the Earth’s largest natural spa, the Dead Sea, rich in oxygen, minerals and salt or swim in the world’s northern-most coral reef eco-system in the Red Sea in Aqaba. 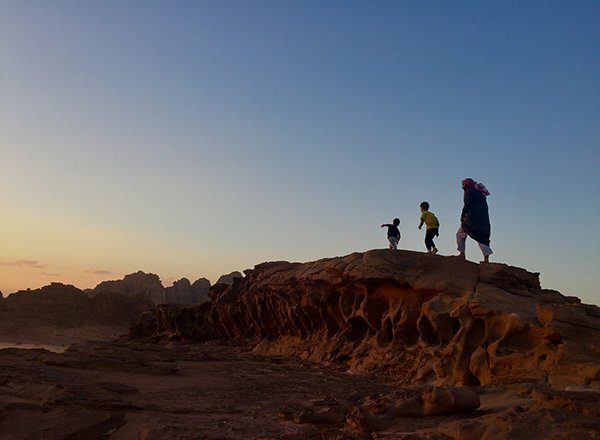 As a destination for religious tourism, ancient history and dramatic nature, Jordan is a hotspot for hiking. The Jordan Trail , a 36 day thru hike runs from Um Qais in the North, to the Red Sea at Aqaba. This new hike encompasses over 650 kilometres of trail and passes 52 villages. It touches the historical sites in Jordan such as Jerash and Petra, while also getting a close look at the diverse landscape of the country. The second thru hike is currently underway and I am excited to see those finish this great trek! But if traversing the country for over a month doesn’t suit your travel style or travel plan, you can do parts of Jordan Trail such as the Dana to Petra route. 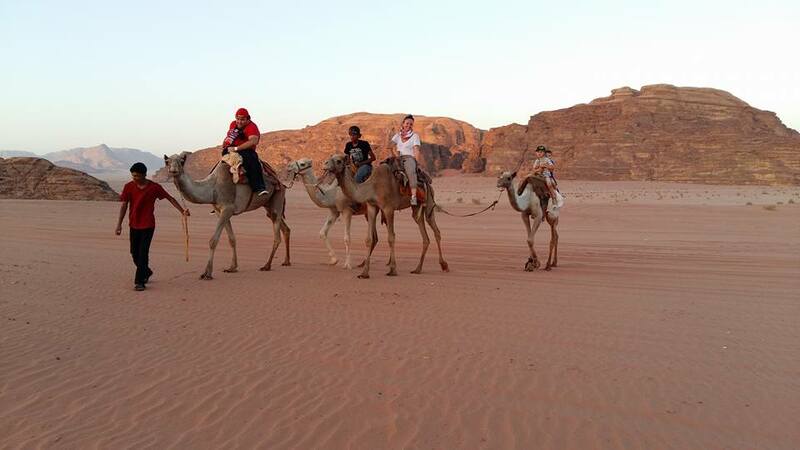 Check out this post if you are interested in backpacking Jordan. One of the most popular hiking spots in Jordan is Dana Biosphere Reserve. Covering 292 square kilometers, the reserve is home to over 600 species of plants, 180 species of birds and 45 species of mammals. The reserve directly or indirectly employs locals and contributes to local schools. This region of Jordan is considered a biodiversity reserve due to its 4 ecosystems, ranging from 1700m above sea level to 50m below sea level. There are a variety of hikes exploring wooded highlands, rocky slopes, sand dunes and even stoney desert. 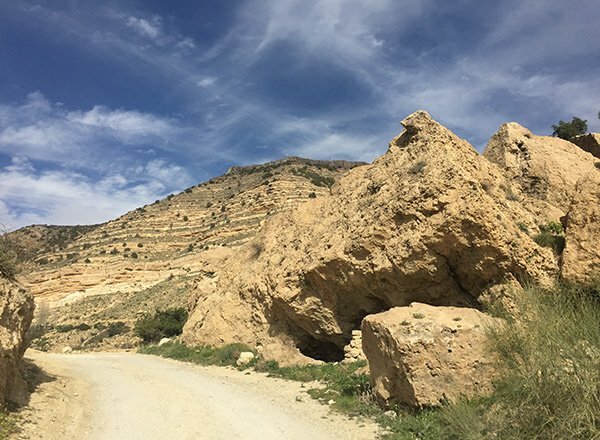 A popular hike is the Wadi Dana Trail, a 16 kilometre downhill hike from the old city of Dana (I suggest you spend the night before at Dana Guesthouse) and ending at Feynan Eco-Lodge. This downhill track is no walk in the park, despite its downhill trajectory. It starts with a steep downhill scramble over large boulders and eventually levels out to a smooth walking trail. However, parts of the trail require walking in the blazing heat, but the hike is worth it to reach Feynman Eco-Lodge. Completely solar powered and lit by candles in the evening, we enjoyed a delicious vegetarian feast and spent the evening listening to Bedouin fokelore and marvelling… at the expansive of sky and stars overhead. You can read our review of Feynan Ecolodge if you would like more info on this really unique accommodation in Jordan. Read More about the Dana Biosphere Reserve here. If you plan to continue on the trail, you will likely leave the next day, but if your schedule allows, it is ideal to at least spend some of the day at Feynan Eco Lodge. 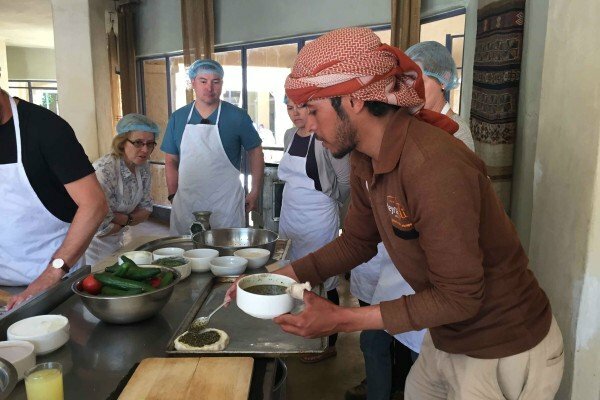 There are cooking classes, interactions with the local community, small hikes and other activities that you get a unique look into life in Jordan, in small communities. One of the most well known eco-experiences in Jordan is a visit to the Dead Sea. It sits 416m below sea level and is fed by small streams. Because of the pressure on the Jordan River by Israel, Jordan and Syria for domestic and agricultural needs, the Dead Sea is dropping by up to a meter every year; it is estimated that it may dry up by 2050. The water is 9 times saltier than the Mediterranean and it is true what they say, you really do float! After covering ourselves with the mineral-rich mud, we waded into the water. The Dead Sea has a very odd texture to it, and it feels as though you are floating in oil! It is something I will not forget! If this is on your bucket list, make sure you experience it before it is gone! 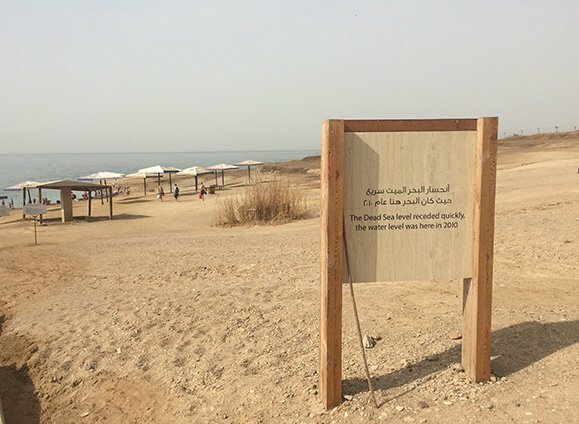 A quick note on the Dead Sea disappearing: There are engineering projects that plan to bring water from the Mediterranean or the Red Sea into the Dead Sea, but the governments in the region cannot seem to get an actual plan into action. Each year that they wait, another meter is lost. There are quite a few hotel options for various budgets. 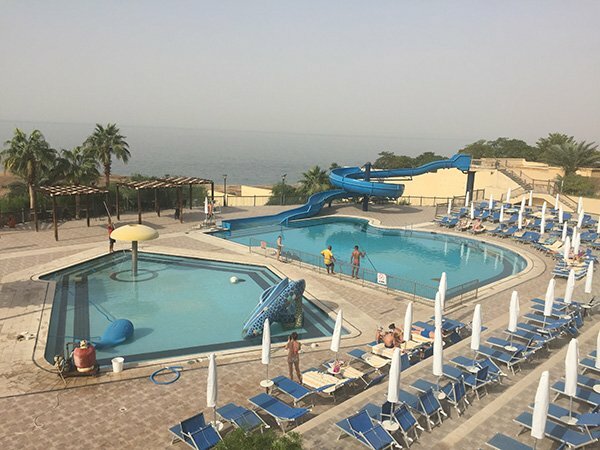 The Dead Sea Spa has a great location on the beach, the rooms are excellent , good food, great pools and we had a great time there! The Mujib Nature reserve, located to the west of the Dead Sea, is the lowest nature reserve on the planet. 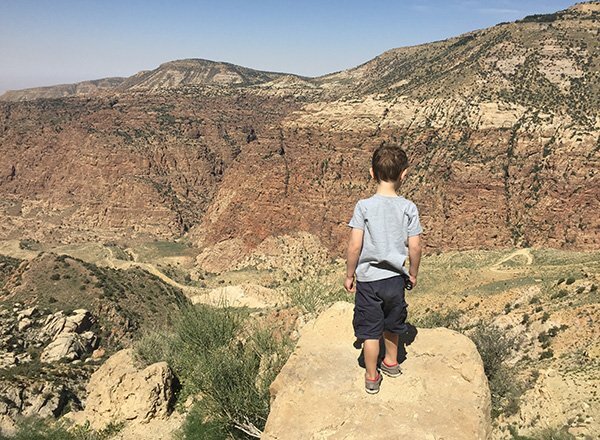 At 410 meters below sea level, the Wadi Mujib Gorge provides amazing hiking trails for both the adventure seeker and the casual hiker. The river trails, which require a guide, meander along water-filled canyons, are filled by several tributaries and flow into the Dead Sea. Hiking in Jordan goes above walking dusty trails. There are three wet trails in the reserve which are open from April 1st through October 31st, and hikers must be 18 years old and able to swim. The mixture of slow and fast flowing waters can make wading a challenge, and the occasional slip will find you drenched. The spectacular mountains around the gorge, as well as the pools of blue-green water provide amazing scenery while hiking. The warm waters provide refreshing respite from the hot days in Jordan and are a nice change from hiking in sweltering heat! There are shorter 2-3 hour options or 4+ hour more difficult options depending on your fitness level. 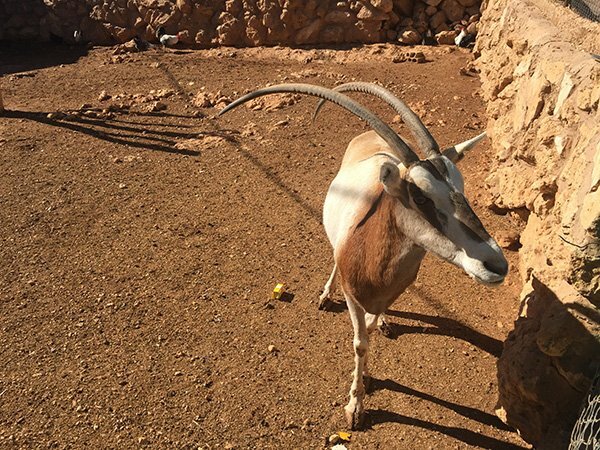 If wading waist deep in fresh streams is not your cup-of-tea, consider one of the dry trails where the Nubian Ibex can be spotted along the towering sandstone cliffs in the area. They can be quite elusive however, have a long camera lens handy if you do see some! Keen eyes will also spot the caracal, a medium sized cat, whose agile hunting skills allow it to catch its prey while in flight.… Numerous birds, carnivores and over 300 species of plants can be spotted in this bio-diversity reserve. Mujib Chalets offer 15 double occupancy rooms with gorgeous Dead Sea views. In Jordan’s south, the Gulf of Aqaba offers the world’s most northern-most coral reef eco-system. Famous for its bright sun and warm temperature, sandy beaches and water sports, it is a dream for beach lovers. Aqaba is the Kingdom’s only coastal town and one you should not miss. The reefs are home to over 1000 species of corals, fish, crustaceans and mammals making it a diverse paradise. While many visitors are drawn to Aqaba for its array of water sports and diving, after days of hiking through Jordan’s diverse regions, it was the perfect place to relax. Spend an afternoon floating aboard one of the many tour boats or simply relax on the sandy shores of the Red Sea. The Gulf of Aqaba’s fragile ecosystem has been designated as a special economic zone which aims to protect and improve the local businesses, community, tourism and environment of the region. As visitors, we are one of the biggest threats to the ecosystem in the region and Jordan is committed to minimizing the effects of tourism as well as overfishing and industrial activity in the region. For budget accommodation we have tried Almarsa Hotel and for those who want the comforts we love Movenpick. Where I really fell in love with Jordan was the first time I visited Wadi Rum Desert. Rum to the locals, we rode in the back of a 4×4 out into the expansive red sand desert. Our driver, serving as a local guide, stopped to let us scale the dunes and marvel at the landscape in front of us. Popular sights include the Seven Pillars of Wisdom rising up out of the sand, prehistoric graffiti etched into the rocks, natural rock bridges and enjoying tea with a local Bedouin. The best part of our day was found on the back of a camel, walking towards the sun setting over the desert”™s dunes. Since this visit, I have been back several times, my boys loving the 4×4 tours and the freedom that playing in the desert brings. I have written a post about everything you need to know about Wadi Rum Camps. A night in the desert is a must for those who have time to enjoy it. Enjoy excellent food, entertainment, from camel hair tents and basic accommodations to luxury tents and even martian style dome tents, there is something for the budget to the luxury. We love the entertainment and the authentic experience at Rum Magic Camp, or the Luxurious living space and tents at Hasan Zawaideh Camp. For the adventurer, Rum offers hot air balloon rides, camel treks from one hour up to several days, mountain climbing and tours from the local guides in the region. What are the Entrance Rates and Fees ? Each location has different rates. The hiking rates for areas managed by Wild Jordan can be found here. Entrance into Wadi Rum is JD5 per person and Jeep Tours start at JD30. If you have a Jordan Pass, it includes entrance to many Jordan sites, but not necessarily any guiding fees. Not many countries exhibit such diverse landscape in such a compact area, and it is amazing to see a small country like Jordan embracing eco-tourism and ensuring the locals are able to benefit from sharing their amazing county with visitors. While the Middle East is a hotbed of instability, Jordan exists as an oasis in the region and we felt completely safe while in Jordan. If you have any questions about any of these regions feel free to ask! Very informative and great photos! Thanks!